I’m about to share something that makes me more than a bit nervous. It’s an 18-step framework designed to harness the power of revolutions and movements to launch, grow or reignite a business, idea or brand. Thing is, it was never supposed to be for anyone but me. It’s powerful. At least, that’s what I’ve been told by the thousand or so CEOs and founders who’ve now experienced it. This Thursday night, I’m sharing the whole thing, all 18-elements, in a private webinar. UPDATE Nov 19 @ 1:30pm – We massively sold out the Thursday night webinar in less than 24 hours (actually it’s waaay beyond that. Seriously, I had no idea the response would be anything like this). So, I’ve just added a second date and time – Friday, November 22 at 11:30am ET. 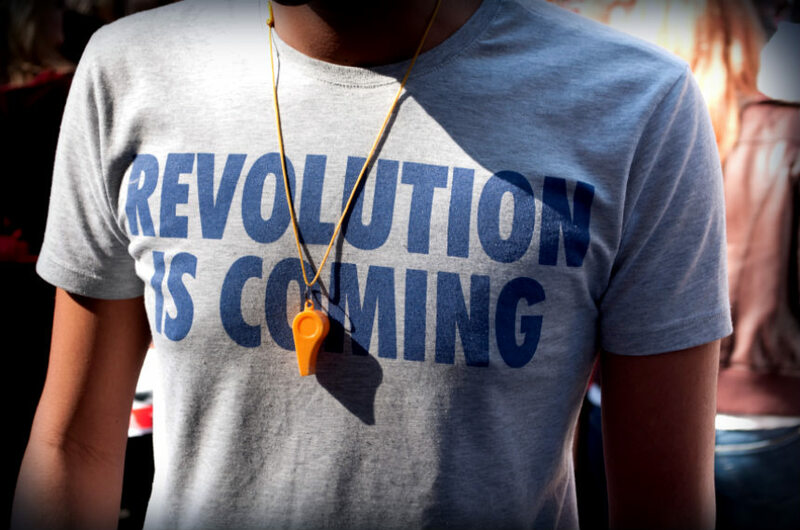 It began as a personal research project, exploring how mass movements, revolutions, evangelist organizations and charismatic leaders capture the hearts and minds of millions and move them to action. I was on a hunt for patterns. To see if there was a way to integrate all these worlds. To create a roadmap that could fuel not only social causes and movements, but launch companies, products, brands and careers with the speed and power of a revolution. Because, if you could do this, then you could not only launch or grow a venture exponentially faster and with a fraction of resources, you could have massively expanded reach and impact globally. Kind of the holy grail of service and growth hacking. I looked at everything from faith to felons, ministers to misfits, icons to infiltrators. 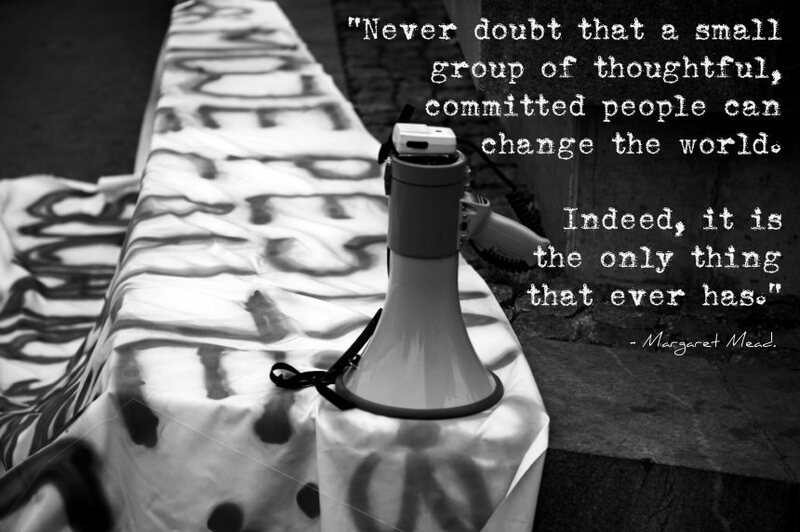 I became obsessed with the way ideas ripple into the collective consciousness, fueling mass numbers of people to action. I mined the language of influence, social dynamics, social-technology, mega-church evangelism, cultural anthropology, corporate culture and story-architecture. Then integrated what I learned with my experience as a lifelong entrepreneur, community builder and student of language. At a certain point, a new way to fit all the puzzle pieces together began to emerge. And a coherent, powerful and robust “Framework for Nonviolent Commercial Revolution” took form. As this was all happening, a friend who was a conference organizer asked me to give a keynote at an event he was running. It was an invite-only gathering of 80 of the most-accomplished health and medical visionaries, educators and CEOs on the planet. No cameras, no recording, this was about two-days of raw truth and breakthrough ideas. What happened next changed everything…. With a fair amount of reluctance, I offered to talk about what I’d been working on. Why reluctance? Because this was never supposed to be public. It was for my own use. I’d already put just a few elements of the framework into action and seen powerful results. Still, I said yes. A few months later, I found myself standing in front of those 80 sets of genius eyes. Nervous as hell. These were people who could not be snowed. They represented billions of dollars of revenue, revolutionary ideas, and millions of people served on a global scale. As I spoke, heads were down and people were furiously writing. There was almost no audience engagement. Kiss of death for a speaker. I seriously thought I was bombing. I wondered if they thought I was just some lunatic with a radical idea. The one thing I DID know was that they’d never heard anything like what I was delivering. When I finished, the room remained silent…then erupted. After a fast and fierce Q&A, I walked out of the room to clear my head. That was astonishing, I’m on the phone with my business partner, we’re rebuilding our entire company around your framework! Over the next two days, a parade of similar conversations ensued with physicians, founders and CEOs. I’ve been writing and speaking for years in front of audiences of all sizes. And, in all that time, I’ve never gotten anything like the response that one talk generated. Someone in the audience was running a conference in Vegas the next week and asked me to fly down to give the same talk. I did. Same exact result. I’ve since shared it two more times. The last time, with a room of more than 500 small business owners. People won’t let me out of the room (which is just a wee bit uncomfortable for this introvert, lol). They want learn more, to go deeper. They ask if I consult (the answer, btw, is no). You can’t walk away from this, it needs to be shared. “Just watch me,” I’d think in response. But that one line began to haunt me. “You can’t walk away from this.” I kept coming back to it. And, so finally, I relented. I decided I would share it as an experiment with a limited number of people in an invite-only private webinar. Then I’d see how I felt about sharing it on a more “public” level beyond them. Oh, one other thing. I also decided the framework had to be free. Just how I roll. Do you want to learn it? Do you want to be part of that first group? Do you want to learn how to tap the power of revolutions and movement dynamics. To blend them with story-architecture, response messaging and social technology to potentially launch a company, product or idea exponentially faster, and with a fraction of the resources and effort? If you answered yes, go ahead and reserve one of the limited seats available in this week’s webinar. It’s happening on Thursday evening at 7pm Eastern Time (that’s NYC time). The original date is beyond sold out, so we’ve added one more date – Friday, November 22nd at 11:30am ET. We’ll jam for about 90-minutes. 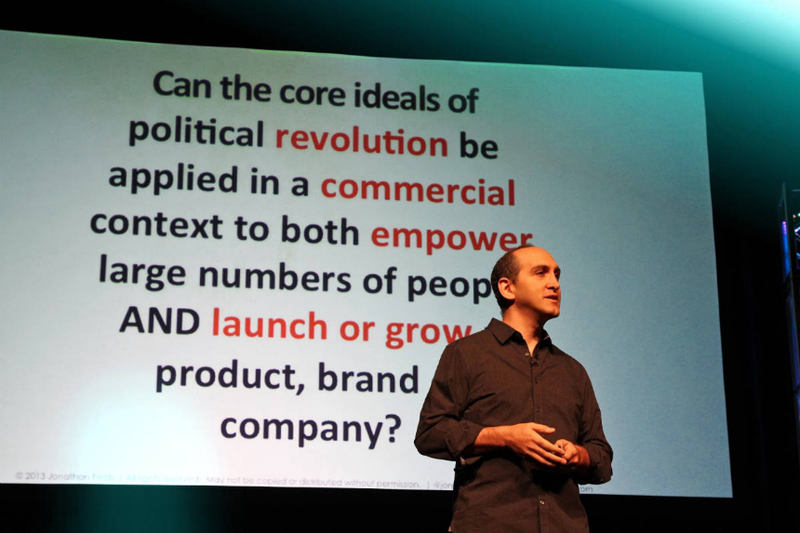 You will walk away with the entire 18-step framework for commercial revolution. It’s free. But you’ve got to promise to use it for good, not for evil. Like I said in the beginning, this was not created with the intent of anyone ever seeing it but me. So, I was never concerned with how people might use it. One, the framework alone is neither good nor evil. It’s all about the intent of the people who wield its power. And two, the “wrong” people–from dictators to warlords and cult leaders to institutions that seek to disempower–have already figured out a lot of it. They use it every day to build vast movements of darkness. If anything, I’m hoping to provide the forces of light…people like YOU… with a roadmap to build your own movement, business, venture or cause that provides an alternative path. One that not only fuels your vision and venture, but inspires, supports and empowers mass numbers of people. Because, the world needs that right now. What you’re about to discover in this private webinar at 7pm ET on Thursday, November 21st Friday, November 22nd at 11:30am ET is the full Framework for Nonviolent Commercial Revolution. The roadmap that almost never saw the light of day. P.S. – I’m sharing the whole framework as a total give. There is no fee. Many of you will be able to roll with it. I love that! And I also know that every time I’ve presented it as a keynote, there’s been a line of people asking if I’ll consult or train them to “execute” on the framework. I’ve always said no. But after so many requests, I’ve created a pretty cool training experience that I’ll share more about at the end of the webinar on Thursday. No pressure either way, you’ll still learn the entire 18-step framework. I just want to let you know ahead of time, it’ll be a great resource for those who are interested.